Spanish is one of the world’s most widely spoken languages — second only to Mandarin — and is becoming increasingly prevalent in the United States. Through Biola’s Spanish major, you’ll develop Spanish writing and speaking skills and grow in appreciation for Hispanic cultures, preparing you for successful careers and service in Spanish-speaking contexts. Knowledge of the Spanish language is a broadly applicable skill — one made more valuable by cultural understanding. Students seeking career flexibility over specialization will value the well-rounded approach of the Spanish Generalist concentration, which includes language and linguistics, literature, culture, study abroad opportunities and more. Spanish fluency is an increasingly valuable asset in the world of business. 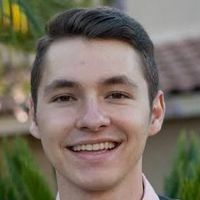 By integrating their Spanish studies with business courses offered through Biola's Crowell School of Business, students develop the skills necessary for working in an multilingual local and global marketplace. In this concentration, students interested in entering global or local politics or foreign affairs will sharpen their Spanish speaking while expanding their political science understanding. This highly practical combination equips students to serve diplomatically in any of the over twenty countries where Spanish is commonly spoken or in culturally diverse areas in the United States. Partnership with Biola's Talbot School of Theology empowers students to incorporate vocational ministry training with Spanish speaking and cultural appreciation. With a growing number of Spanish-speaking people within the United States, this concentration enables students to serve both abroad and right at home. Why Choose Spanish at Biola? All Spanish majors are strongly encouraged to take a travel practicum or to participate in a study-abroad program, such as Biola in Ecuador or the Latin American Studies Program. Biola’s location in Southern California offers great opportunities to engage with Spanish-speaking communities and to work or intern in Spanish-speaking churches, schools and businesses. Small classes give you an opportunity to form deep relationships with your professors and fellow students. Students will be equipped with the skills to not only speak, read and write Spanish, but will develop a greater understanding of the Hispanic culture and how to fulfill the great commission. Biola graduates from the Spanish major are doing everything from teaching Spanish at schools around the country, to pursuing business opportunities with Latino corporations, to providing nursing care to Latino immigrants in the Santa Ana School District.